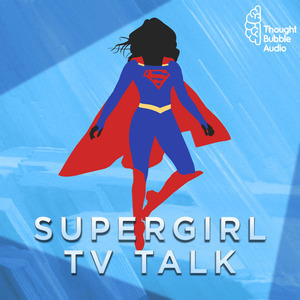 We found 10 episodes of Supergirl TV Talk with the tag “reign”. 3x23: "Battles Lost and Won"
It's the Season 3 finale, and our heroes Frank & Tim face their greatest foe yet: the summer hiatus! Will they recap the Supergirl finale and return for more? Listen and find out. Frank returns from Argo City to join Tim for this week's recap: Black Kryptonite? Flamebird? Grand theft spaceship? All these topics are covered and your questions are answered. Tim and Frank talk about truth, building your own worldkiller, and a bit of season 4 news! 3x18: "Shelter from the Storm"
Tim and Frank talk invisible mansions, Luthor mysteries, hand wavey science magic, and more. Plus listeners emails and end-of-season speculation! Tim and Frank discuss trinities and sing about honesty, all while breaking down this week's Supergirl episode "Trinity." Tim returns! He joins Frank to talk about pestilence cookies, worldkiller trios, and everything else going on in "Of Two Minds." 3x15: "In Search of Lost Time"
Frank is joined by Scott of the Suicide Squadcast to chat about capes, secret labs, Mercury in retrograde, and psychic battles. Plus listener emails and more! 3x14: "Schott Through the Heart"
Frank is joined by friend of the show Brent to talk about karaoke, toys, family, and more. Supergirl is finally back, baby! Your emails are front and center! While Supergirl is still on hiatus, Tim and Frank stop by to say hi and clear out the listener mailbag.